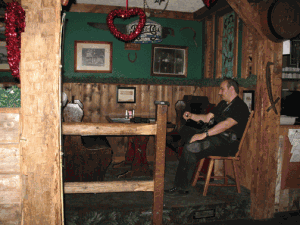 Smalleys is a quaint bar-restaurant in Carmel New York… and yes, it is haunted! It originally opened in 1852. It burned to the ground in a fire that destroyed most of Carmel’s village in 1924. 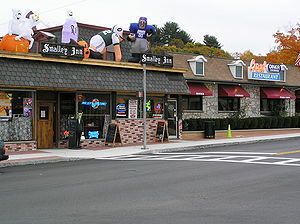 A new Smalley’s Hotel was built. I was later divided up into private businesses – one of these is the restaurant. There are a few spirits such as a little girl named Elizabeth Smalley. A tombstone for her was found in the basement. Perhaps she died in winter and was buried in the basement since the ground was frozen outside. Well, she’s still there. There also seems to be a woman who hangs out with the customers. A male spirit has been reported as well. 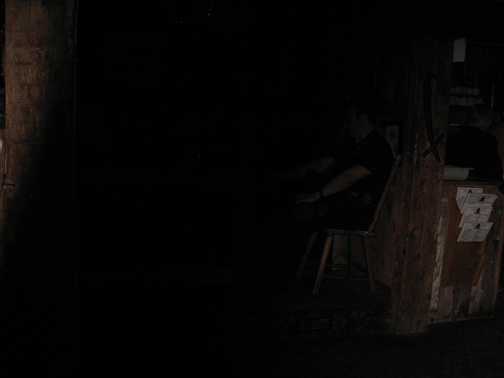 This investigation was with my team of Obsideo Research of Beyond, ORB – http://www.orbresearch.org/. Our experiences (which are documented in the Smalley’s cartoons) were energy related. We had a fun chat with the woman via K2 Meter. She answered questions willingly. Rusty, an investigator and psychic medium, discovered that she was not enamored of a customer sitting nearby (we began the investigation before the restaurant emptied out). She was also happy to talk with us and asked if we would come visit her again. You gotta love a ghost like that! The circular table just outside the bar area manifested a tremendous cold spot. My psychic impression was one of anger… The EMF (electromagnetic field) was off the charts around the cold spot. It seemed like there was an irate customer sitting awaiting his dinner which was late apparently. In the main restaurant I took several photos consecutively. Below is a series that seemed initially like a camera malfunction. 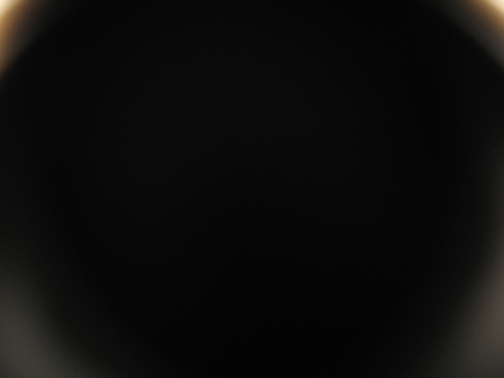 Further investigation showed a black mass moving out of the camera frame. The series shows the appearance of a dark mass, moving to the left and leaving the last frame clear. The frame before this was clear of it – I didn’t include it here. The first photo looks exactly like a lens cap being applied. However, the lens cap on my camera will not stay on if the lens is open as it is of a telescoping variety. I cannot get my fingers in front of it either. The model is a Cannon Power Shot G6 (for those who want to check it out). It can only be held in my right hand. I have small hands and fingers that will not reach the lens or flash mechanism. The strap was dangling downward out of range. I also had a separate piece of equipment in my left hand keeping it well occupied. The second shot looks like the “whatever-it-is” in question is moving to the left. I noticed this when I was shooting it initially, but I didn’t review it until later. The third frame is clear of it. What this is, I have no idea… Any thoughts? Below are some electronic voice phenomena gathered by our investigative team. click here: man_yes – Male entity answers “Yes,” to question. We had a high EMF around that table one time. It’s a pretty haunted place. Maybe she’s saying Gordon Ramsey should intervene at the restaurant. HA!